Sometimes to get what you need in a project, you have to combine techniques. 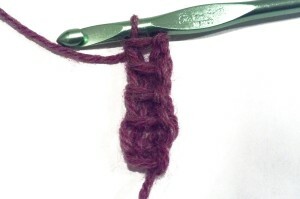 This tutorial will show you how to combine linked stitches and foundation stitches. 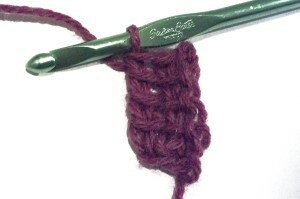 While it features double treble stitches, it can be adapted to other crochet stitches as needed. For a left-handed view, mouse over the photos. To begin, ch 6. 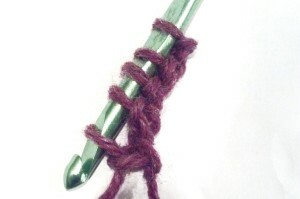 Pull up a loop in the second ch from the hook and each of the next 2 chains. Skip the next chain, pull up a loop in the last chain. You should have 5 loops on your hook. Chain 1. 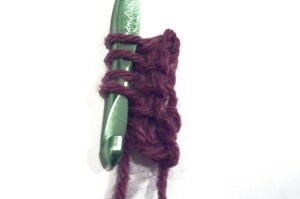 This will form the base of your stitch. 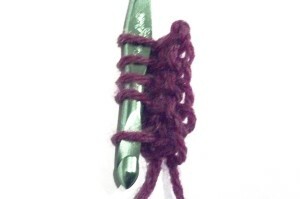 (yarn over, pull through 2 loops on hook) 4 times. 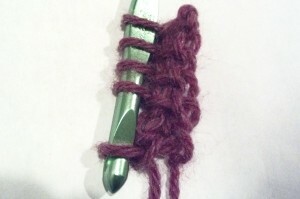 Insert your hook and pull up a loop in each of the 3 horizontal bars of the previous stitch. 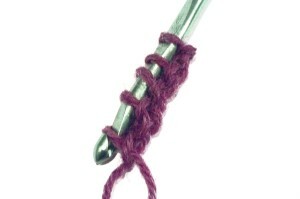 Insert your hook into the base of the previous stitch and pull up a loop. As always, if you need further clarification, feel free to leave a comment. This entry was posted on Saturday, April 26th, 2014 at 12:00 AM by Candace	and is filed under Tutorials and Help. You can follow any responses to this entry through the RSS 2.0 feed. You can skip to the end and leave a response. Pinging is currently not allowed.